The industry-standard Cisco Small Form-Factor Pluggable (SFP) Gigabit Interface Converter is a hot-swappable input/output device that plugs into a Gigabit Ethernet port or slot, linking the port using the network (Figures 1, 2). SFPs could be used and interchanged on a wide variety of Cisco products and could be intermixed in combinations of 1000BASE-SX,1000BASE-T , 1000BASE-EX, 1000BASE-LX/LH, 1000BASE-ZX, or 1000BASE-BX10-D/U on a port-by-port basis. The 1000BASE-SX SFP, compatible with the IEEE 802.3z 1000BASE-SX standard, operates on legacy 50 μm multimode fibre links up to 550 m and on 62.5 μm Fibre Distributed Data Interface (FDDI)-grade multimode fibres up to 220 m. It can support up to 1km over laser-optimized 50 μm multimode fibre cable. The 1000BASE-T SFP is run on standard Category 5 unshielded twisted pair copper cabling of up to 100m (328ft) link length. Cisco 1000BASE-T SFP module support 10/100/1000 autonegotiation and Auto MDI/MDIX. The 1000BASE-EX SFP works on standard single-mode fibre-optic link spans of up to 40 km in length. A 5-dB inline optical attenuator should be inserted between the fibre-optic cable and the receiving port on the SFP at each end of the link for back-to-back connectivity. The 1000BASE-LX/LH SFP, compatible with the IEEE 802.3z 1000BASE-LX standard, operates on standard single-mode fibre-optic link spans of up to 10 km and up to 550 m on any multimode fibres. When used over legacy multimode fibre type, the transmitter should be coupled through a mode conditioning patch cable. The 1000BASE-ZX SFP works on standard single-mode fibre-optic link spans of up to approximately 70 km in length. The SFP provides an optical link budget of 21 dB, but the precise link span length depends on multiple factors such as fibre quality, quantity of splices, and connectors. When shorter distances of single-mode fibre (SMF) are used, it could be important to insert an inline optical attenuator in the connect to avoid overloading the receiver. A 10-dB inline optical attenuator must be inserted between fibre-optic cable plant and the receiving port on the SFP at per end of the link whenever the fibre-optic cable span loss is lower than 8 dB. The 1000BASE-BX-D and 1000BASE-BX-U SFPs, compatible with the IEEE 802.3ah 1000BASE-BX10-D and 1000BASE-BX10-U standards, operate on a single strand of standard SMF. A 1000BASE-BX10-D equipment is always linked to a 1000BASE-BX10-U device with a single strand of normal SMF using an operating transmission range up to 10 km. The communication over a single strand of fibre is achieved by separating the transmission wavelength of the two devices as depicted in Figure 3: 1000BASE-BX10-D transmits a 1490-nm channel and receives a 1310-nm signal, whereas 1000BASE-BX10-U transmits at a 1310-nm wavelength and receives a 1490-nm signal. Note in Figure 3 the presence of a wavelength-division multiplexing (WDM) splitter incorporated into the SFP to separate the 1310-nm and 1490-nm light paths. Cisco offers many types and models of SFP optical transceivers which are designed for a number of fibre optic networking applications. Using a complete information about these module types and selecting the right SFP module for installation can be hard in case you don’t know the SFP products well . 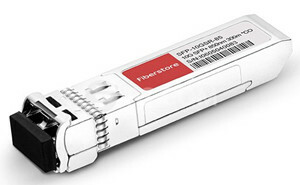 Fiberstore is a online store which sales Cisco SFP Optical Transceiver and Cisco SFP Cables. Together with Fiberstore, which is a Global Delivery from their like no any others. Fiberstore will not only delivery the correct shipment, but also for more things for an efficient and flexible way of business cooperation with their partners. This entry was posted in Fiber Optic Transceivers and tagged 1000Base-T SFP Transceiver, Cisco sfp cable, SFP module on July 7, 2014 by Admin.